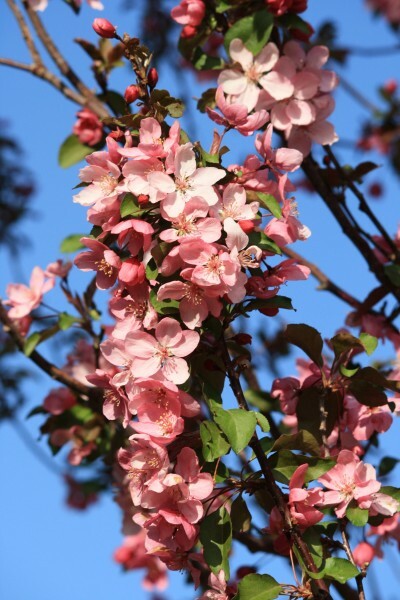 Free high resolution photo of a crabapple tree branch covered with clusters of beautiful pink blossoms. You can see small leaves budding out and an amazing blue sky behind the pink flowers. Crabapple trees bloom in the early spring, they are generally considered ornamental flowering trees because they produce abundant blossoms. The do make fruit, but it is bitter and not generally eaten. This picture is free for any use.